The Label Printing system is designed to your specific requirements to suit every labeling need you may have. The Label System consists of the following: *Thermal Printer *Keyboard Display Unit *Roll of labels *Indelible Thermal Ink Ribbon. 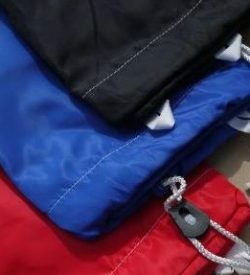 You will find the system to be invaluable in labeling clothing, drapes, towels, slings, sheets and linen etc. Alternatively you may have other uses for the sticky labels apart from textile marking. The unique labels are printed using a thermal printer fitted with a ribbon specially impregnated laundry thermal ink which does not come out in the wash. Once printed, labels can then be heat sealed onto linen using a heat seal machine. The labels are sticky allowing you to place them in the correct position for heatsealing without the edges curling up. The labels once heat set will not come off in a normal wash or dryer. Labels are available in white 46 x 12 mm. Supplied in a roll of 1750 labels. This F Heatsealer is ideal for label or patch application. 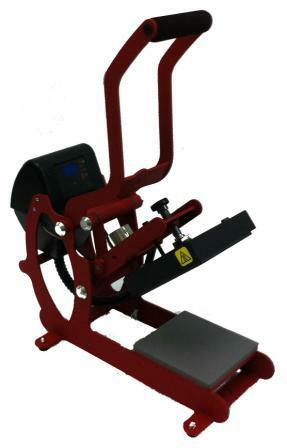 The heat press also has fully digital time and temperature controls and features auto release technology.